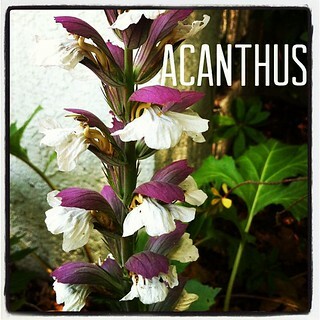 This Acanthus has been reappearing and blooming in the front garden since we moved in 16 years ago. The leaves and flower stems dry and die back each Fall but return regularly with our Winter rains. This photo is the basis for the logo of A Gardener’s Notebook podcast and videos.